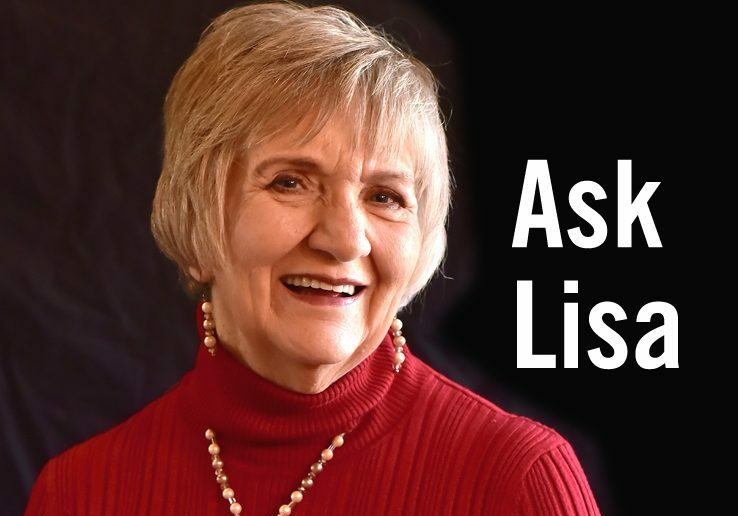 When the opportunity to write a column for Senior News and Living sharing stories, answering questions and helping to identify services for Oklahoma City seniors at-large was presented, it was for me a childhood “Ann Landers/Dear Abby” dream come true. What an incredible mission, helping seniors by telling their stories. The belief that it takes a village; we must walk by faith and that there is a solution for every situation is a driving force and the foundation for this column. My professional career spans more than fifty years working with and guiding nonprofits. I found my passion for service working with amazing organizations and having the opportunity to help so many people throughout our great state and our great country. Early on serving as the secretary/bookkeeper/file clerk/custodian for the Oklahoma Museums Association, I found my passion for nonprofit service. Then the YMCA of Greater Oklahoma City gave me the opportunity to develop and lead fundraising campaigns, Oklahoma City University financial development department presented the opportunity to work closely with the board and to develop new ideas and strategies in fundraising, National American Red Cross lead to developing, writing and teaching curricula for Disaster Colleges and the opportunity to grow the individual chapters. Returning to Oklahoma in 2009, I tried to retire, really, I did but the exciting challenge of leading a team of 100 staff in six counties, administering 13 programs, including a homeless shelter; weatherization program; a transportation program; rental units; six food pantries and other social services made it impossible to turn down the position as CEO of the Central Oklahoma Community Action Agency. Then, I tried to retire again, honestly, I did. But a part-time job with The Salvation Army (TSA) senior program became the full-time job as Senior Programs Manager at TSA where I served with joy and love until my recent retirement in October of this year. Now, I am officially RETIRED, AGAIN! Sorta. My career experiences as well as my role as a mother and grandmother placed me in the unique position to make quick command decisions that impacts peoples lives. It was an extreme honor to serve then and to continue serving you. I look forward to us getting to know one another each month through the pages of Senior News and Living. As my new 2019 bright pink journal so appropriately states on the front cover “Let the Adventure Begin” and so it does. Are you a part of the ‘RE’ movement? If your answer is not “Yes” – I hope that after reading this article, it will be a resounding “Yes”! My middle child, my youngest daughter, drives the entire family nearly crazy. She lives the “RE” movement – REclaim, REpurpose, REuse, REcycle, REbuild, REfurbish. And although, she can be exhausting, her words on these subjects often fit many other seemingly unrelated situations. For example, I am officially REtired. Again. Sorta. Learning to REpurpose my professional and personal focus and master the art of RElaxing. See how that works? REbuilding or REclaiming an estranged relationship is another example. Have you ever been, or are you now, estranged from a loved one? Have you let hours, days, weeks, months, or even years fly by without reaching out – without mending relationships? Have you wanted to REbuild a relationship or REunite with a loved one? Are you so certain you would be REbuffed, you don’t take the first step, after all who wants to risk REjection? I am not saying the hurts aren’t real. Many times, they are devastating. However, our pride should not keep us from offering and/or seeking REconciliation. Jan (not her real name) is a prime example. Jan and Jack had lived in Oklahoma for five years. She married Jack and left the Philippines against the wishes of her children. Jack died on a Saturday and Jan was alone, thousands of miles from her family. There had been no contact with any family member since leaving five years ago. On Monday, in despair, Jan went to the senior center in her apartment building. A staff member stopped to talk with Jan, sat down asking if there is something she could do to help her. Jan tells her that her husband died, and she is alone. Jan is encouraged to reach out to her children, tell them of the situation. When unkind and hateful words have been exchanged, forgiveness seems out of reach. Someone must take the first step, make the first call. After lunch, Jan returned to the apartment – her intention was to take her life. In desperation, Jan called her eldest daughter. The daughter couldn’t stop crying. Within an hour, with no words of REcrimination, there is a paid airline ticket from Oklahoma City to Manila, leaving in 36 hours. Reaching the seniors experiencing such depths of despair and encouraging them to seek counseling and take the first steps to REclaiming their lives should be a priority. Don’t let the hurt, the anger from the past, keep you from forgiving, REbuilding and REconnecting with friends and family. Take that leap of faith. Forgive yourself. Forgive others. Be that person – that “RE” person: REunite, REconnect, REbuild and REclaim the estranged relationships in your life. Do you feel there is no place to turn, that you are alone? Oklahoma City has great resources. Call 211 for information on agencies and programs. IF YOU FEEL SUICIDAL CALL 911 or the Suicide Prevention Hotline at 1-800-SUICIDE. 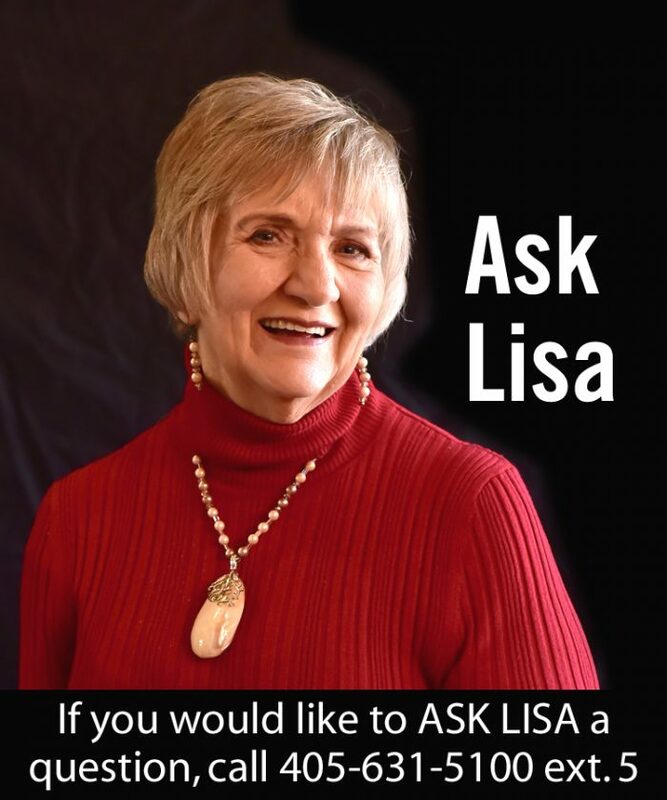 Senior News and Living has set up a dedicated phone line for you to ASK LISA questions, please call 405-631-5100 ext. 5 and leave; your name, phone number and a message regarding your question or topic, if your question is chosen to be in an upcoming issue I will follow up with you. Have you ever done something so foolish, something you have chastised others for doing, something you must have been brain dead to have done? Well, the other day I did a dumb thing on that level. I was in a grocery store; looking at a display, when this soft voice says, “Baby, you know Thanksgiving and Christmas are right around the corner.” I instantly knew what she was referring to…my wallet, cell and keys were laying in the shopping cart, unattended. I put myself in a position for potential harm. Be aware of your surroundings. Never leave your purse, wallet or bag unattended. Thank you, Mary, for caring enough to approach a stranger (fellow senior) to warn of danger!